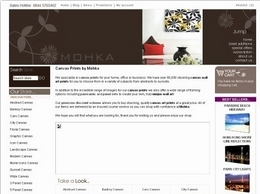 Mohka home of Canvas Prints. Mohka specialize in creating great looking wall art for your home, office or business. We have over 80,000 wall art prints for you to choose from in a variety of subjects from abstracts to sunsets. 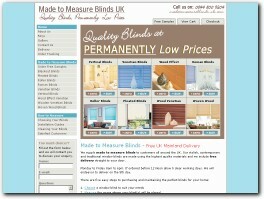 We supply made to measure blinds to customers all around the UK. Our stylish, contemporary and traditional window blinds are made using the highest quality materials and we include free delivery straight to your door. Beautiful wall art stickers perfect for any home. Buy our wall stickers today and we ship in 24 hours first class from the UK. Established in 1875, Woods has become one of the UK's leading retailers of home furniture with a focus on sheepskin rugs. You can select from a massive range including Icelandic sheepskin, rare breeds such as Jacob, and extra-large throws. The UK's largest online supplier of cheap net curtains and made to measure curtains. We offer a wide variety of net curtains including voile panels, jardinieres and cafe curtains as well as roller blinds, tie blinds and string curtains. Italian handmade pottery, ceramics and home decorative accents. For more than 37 Years, INTRADA ITALY has pioneered bringing the best #Italian-Pottery #Italian-Ceramics #Italian-Home decor and #Italian-Dinnerware. Exclusive Mirrors are one of the largest online mirrors stores in the UK. We are a family run business that is passionate about interior design and believe our customers deserve the finest quality mirrors at affordable prices. M.A.D. Renovations is a family owned Calgary renovation company committed to the highest level of customer service. We specialize in the complete remodelling of your living space, including kitchen renovations and bathroom renovations. Premium and largest United Kingdom manufacturers and suppliers of timber products such as skirtings, architraves, decking, stair parts, doors and much more. First generation family business over 35 years in Calgary. We manufacture and install natural stone products made from granite, soapstone, limestone, marble, natural quartzite and quartz. 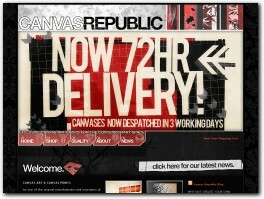 Fancify Wall Murals offers you a cost and time effective way to bring any room to life! Wall murals are an effective way to decorate and transform any room. Miaustore is a start up company dedicated to creating innovative cat products and selling them across Europe. They work with the aim of improving the lives of cats across the continent. Daily Theme is a resource for today's interior design about the home.You will get the idea about the latest trends of interior design. Want to change interior and exterior of your home in affordable or reasonable rates? Deziner Panels will give you innovative look to your building with their premium quality of the products in low price. Back in 1998 Signature Natural Rugs pioneered the use of natural fibres in stylish & hardwearing floorcoverings & have never looked back. Discount Original BTC and Davey Lighting stockist based in the UK. 1buy UK offer quality products at affordable prices with flexible delivery options to suit all customers. Stylish granite worktops for your kitchen & bathroom. Wide choice of granite, quartz & marble stone to also make stairs or fireplaces. Granite London supplier. We''re Manufacture a variety of ceramic mugs, ceramic gift item and tableware. 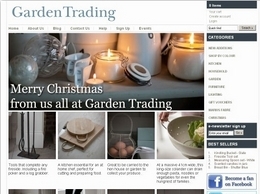 Vintage homeware boutique, selling rustic style furniture, home accessories and more. A website dedicated to tapestries and wall hangings. Features many different types including animal, bohemian, ocean and psychedelic tapestries. The highest quality one-of-a-kind home decor accessories. You hold a Paper Prezzies bowl, or piece of jewelry, and feel that it''s handmade - the paint is knobby in places and the paper is crinkled. You know just by touching it that someone put thought and care into making an outstanding, original product.